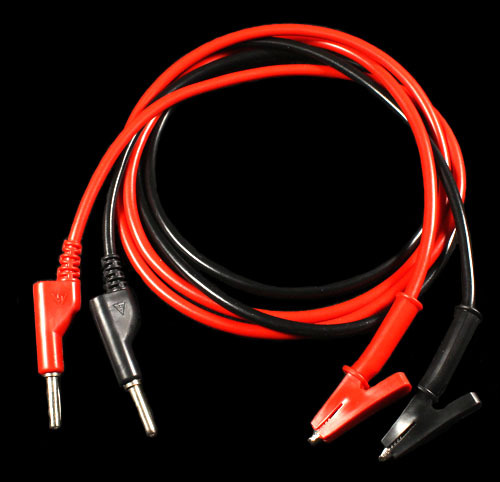 Ideal for use with our 25 KV High Voltage Power Supply - or any higher voltage power supply with 'banana plug' style jacks. 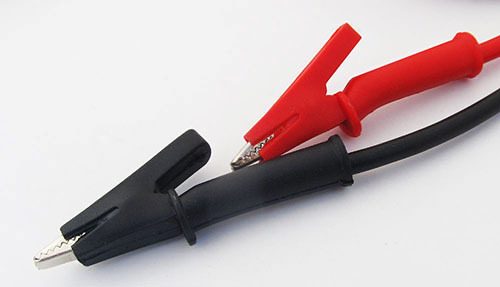 The alligator clip ends have extended, insulated tabs as well as a stop to prevent fingers from accidentally sliding and coming into contact with HV current. Connect your High Voltage Power Supply to your project without the hassle of building your own cables. 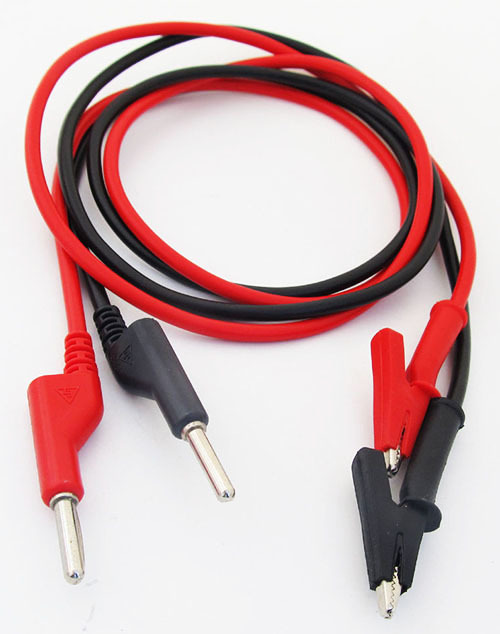 Standard banana plugs on one end, HV alligator clips on the other with heavily insulated wire connecting the two. Red & black color coded to make polarity clearly known at a glance. Cables are 30" in length.